Good morning! Proverbs 22:6 tells us, “Train up a child in the way he should go, even when he is old he will not depart from it.” As parents of teen and adult children, sometimes it’s hard to remember this Bible passage. We see our children making mistakes and choosing paths that we know are not healthy for their minds, bodies, or souls. We worry for them and we pray that God will continue to protect them as they stretch their wings and make their way into the world. We wonder if we have given them the right tools of faith, hope, and love in a world that doesn’t value these same virtues. Today I pray that as we worry for our children God will bring a peace to our hearts and minds knowing that we have raised our children to know and love the Lord. We have given them a foundation of faith, hope, and love on which everything they do will be built, even if they turn their backs on it for now. I pray we know that the desire to know and love God is ingrained on each and every one of our hearts, including our children for whom we worry about. 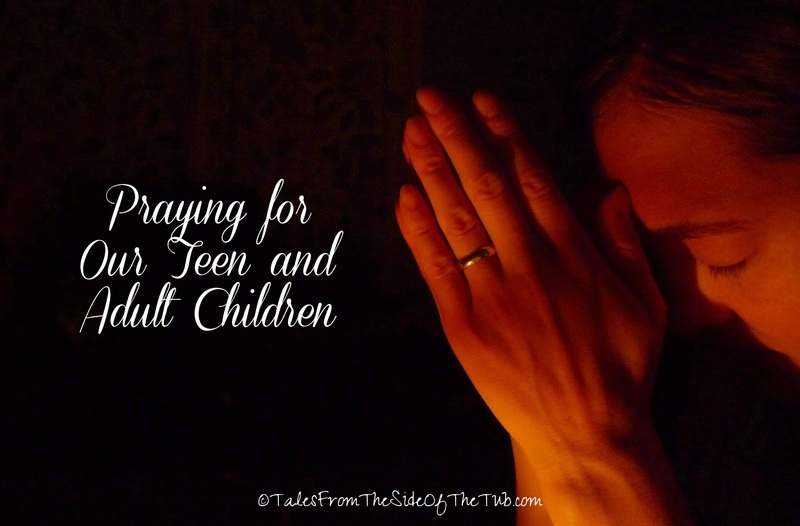 Let us put our children into God’s hands. He loves them even more than we do and will always be with them. Have a beautiful day! What can I keep in prayer for you today?